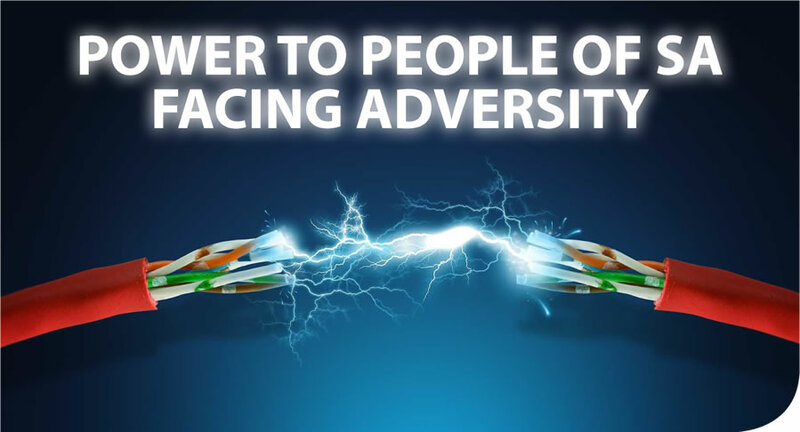 When South Africans stand together we are able to overcome insurmountable odds. It is a characteristic that has long defined us as a nation. We demonstrated this tenacity when we successfully hosted the 2010 FIFA World Cup even though our detractors had predicted chaos and failure. Together we overcame the short-term inconveniences such as the increase in traffic congestion from road and stadium upgrades to ensure the success of the tournament. The hosting of the event demonstrated to the world our capabilities and earned us the reputation of a country that can deliver. We again face a situation which requires the same level of determination and unity that was demonstrated across the country in 2010. Our national power supply remains under pressure as Eskom is at times unable to produce the full amount of electricity required due to maintenance and unexpected breakdowns at power stations. In this instance it becomes necessary to interrupt supply to certain areas through load shedding. This is a last resort and is only applied after all other options have been exhausted. We have however entered an extended programme of load shedding in which households and business will be without electricity for an average two hours every working day between now and December 2016. Our demand for electricity has reached the point where at least Level 1 load shedding, which requires 1 000 MW to be removed from the grid and sometimes Level 2, which is equal to 2 000 MW has become necessary. Government apologises for the inconvenience caused as a result of the unplanned electricity disruptions and remains deeply concerned over the effect it has had on the daily lives of South Africans. Its impact on business is equally concerning as our economy is dependent on electricity for economic growth. While load shedding is part of our lives today, it is by no means a permanent situation as our long-term plans will ensure that the country is able to meet its energy needs. Government is working to secure South Africa’s future energy supply through an energy mix which comprises coal, solar, wind, hydro, gas and nuclear energy. In the meantime, let us assist the country by trying to work around load shedding. We should take time to familiarise ourselves with the load shedding schedule in our areas. 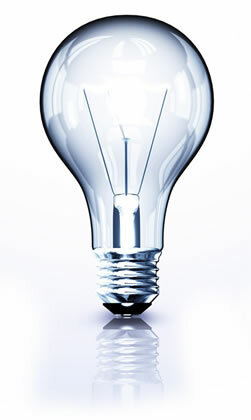 This way we are able to plan ahead so the power disruptions have less of an impact on our family life and businesses. Households and businesses are encouraged to make provision for the fact that there will be at least two-hour power outages between 7am and 10pm daily. Importantly, the power constraints we are experiencing remind us that electricity is not a limitless commodity and we need to use it wisely. 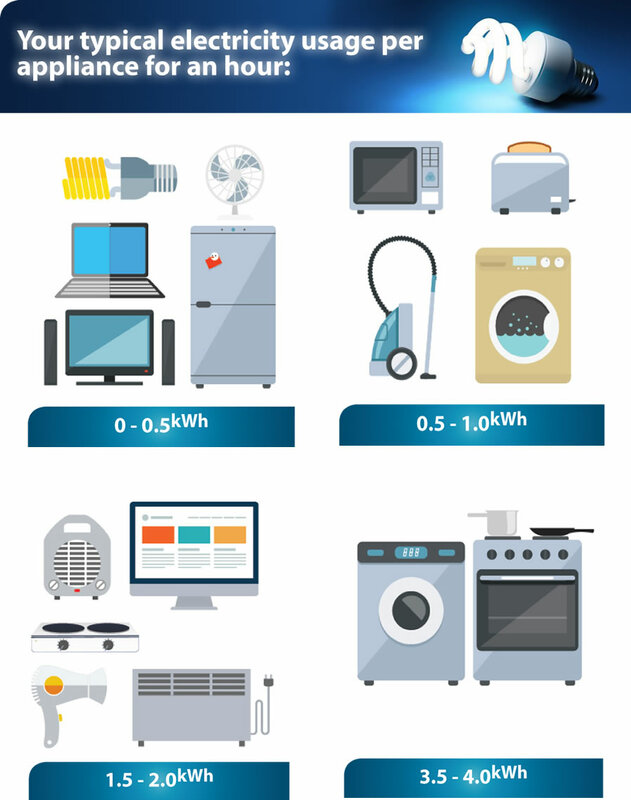 South Africans can become part of the country’s energy solution by conserving energy through switching off non-essential appliances. Commercial customers, particularly shopping centres and retail outlets, can make a big difference by switching their air-conditioning temperature levels to 23⁰C. 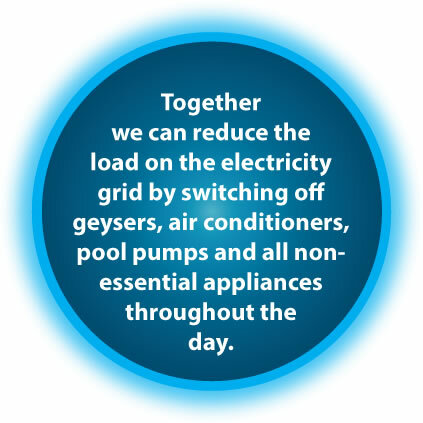 Be aware of the national energy alerts on radio and television and immediately respond to them by switching off high energy appliances such as geysers, pool pumps, ovens and air conditioners so that we can pass the critical period with limited disruptions. The energy situation going forward remains extremely tight. But let’s bear in mind, we are all in this situation together and need to do everything possible to get through this short-term strain. Government is confident that its analysis of the situation and the measures it is introducing will bring relief in the foreseeable future. We are supporting the national grid through the more frequent use of diesel powered open cycle gas turbines to help bridge the immediate gap between supply and demand. Work is under way to reduce maintenance backlogs and improve the performance of power plants in order to reduce unplanned outages; these are a major concern. 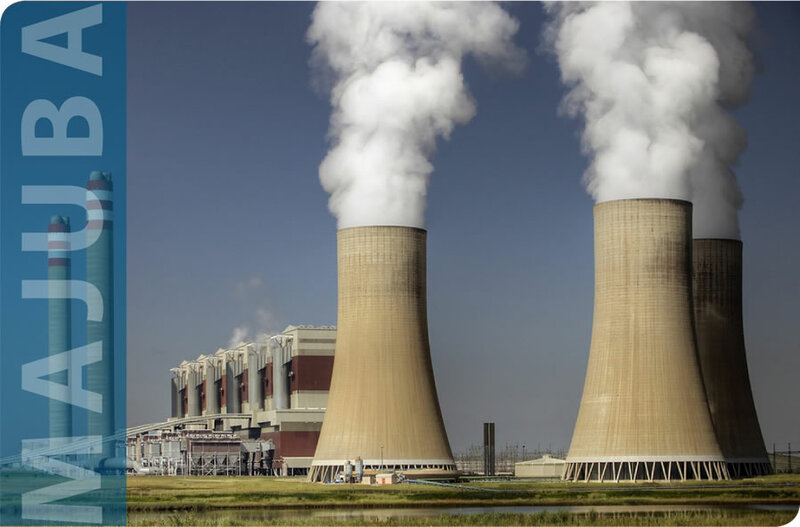 There are also plans in place to restore 960 MW of generation capacity at Majuba Power Station by the end of the year after one of its storage silos collapsed last year. These immediate interventions are receiving our highest priority through the War Room established by Cabinet to fast track the implementation of a five-point plan to turn the current situation around. The War Room is led by Deputy President Cyril Ramaphosa who is supported by an Inter-Ministerial War Room comprising of relevant Ministers and is supported by a Technical War Room of Directors-General. Our energy crunch is a result of a number of complex factors. It includes the legacy of apartheid where millions of marginalised black South Africans were deliberately excluded from the national grid. Over the last 20 years electricity has been provided to more than 5.8 million households reducing the percentage of households without electricity from about 50 per cent in 1994 to 14 per cent. Our other pressing social priorities after 1994 also meant the investment in energy was limited as resources had to be diverted to these areas. Moreover, the problem was compounded by the lack of investment by private energy producers as anticipated at the time. This further curtailed the country’s generation capacity. Over the medium-term government is working to secure the national grid by buying an additional 1000 MW from private power producers which will come on stream within 18 months. The launch of an independent power producer programme that harnesses waste energy from the sugar, paper, and pulp industries to produce about 800 MW is part of our plans. A number of potential gas-to-power projects have also been identified to alleviate our energy supply constraints. These include both new gasfired power stations and conversion of diesel-fired power stations to gas. Our energy situation affects all of us. In the interest of the nation, we need to work together to solve our collective problem in the spirit and manner in which we rose to the challenge of 2010. Like in our preparation for the 2010 FIFA World Cup failure is simply not an option. We can and will overcome this tight energy situation when we stand together.